During the first trial against the DePuy Orthopedics division of Johnson & Johnson, an internal analysis conducted by the company in 2011 was disclosed to the public. 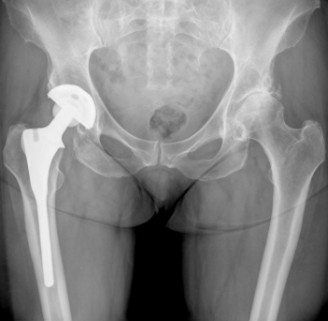 The analysis estimated that the ASR metal-on-metal hip implant had a 40% fail rate within 5 years. This is a rate 8 times higher than for many other hip implant devices. Moreover, the life of an average hip implant is 15 to 20 years. This would suggest that, in addition to those who have already undergone painful and costly revision surgery, thousands more patients will likely experience a prematurely failed hip in the next few years. Other unsettling information was also made public during the trial. Evidence shows that researchers may have been aware of problems with the metal hip as early as 2008, three years before the device was recalled. One of DePuy’s top consultative surgeons expressed concern about the cup component of the ASR, telling marketing officials that it should be “redesigned.” But at the time, DePuy was still aggressively marketing the product in the United States and implanting it into thousands of patients. To date, 93,000 patients have been implanted with the ASR. If you or someone you know was implanted with a DePuy ASR and suffered severe tissue and bone damage or had to undergo costly and painful revision surgery, you may be eligible for compensation. Contact an N.C. metal-on-metal hip recall lawyer at Ward Black Law today! We are standing by to answer your questions and provide free, no-obligation case evaluations! You can reach us by phone: (336) 333-2244 or toll-free at 1-877-256-1214 and by email, or you can visit us on our website: wardblacklaw.com.